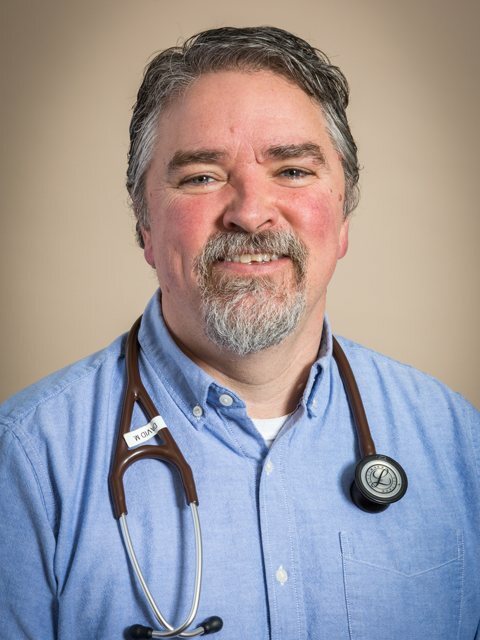 McCormack earned his Associate Degree from Vermont Technical College and began his nursing career as a Licensed Practical Nurse on the Medical/Surgical Unit at Brattleboro Memorial Hospital in 2001. He then went on to earn a BSN in Professional Nursing from the University of Vermont and a Master of Science in Nursing at the Massachusetts College of Pharmacy and Health Sciences, with a Family Nurse Practitioner focus. Prior to joining Grace Cottage, he was an Advanced Practice Registered Nurse at Brattleboro Family Medicine. McCormack holds certifications in emergency nursing, advanced trauma nursing, and emergency pediatric nursing. He is currently an Assistant Medical Examiner for Windham and Windsor Counties. David lives in Newfane, VT with his wife and kids. In his free time, he enjoys kayaking, hiking, camping and gardening. David is currently a ‘Refuse to Use’ representative for Leland and Gray/West River Valley Thrives.